After six months at the Interior Department, Bryan Rice, director for the Bureau of Indian Affairs, has resigned. 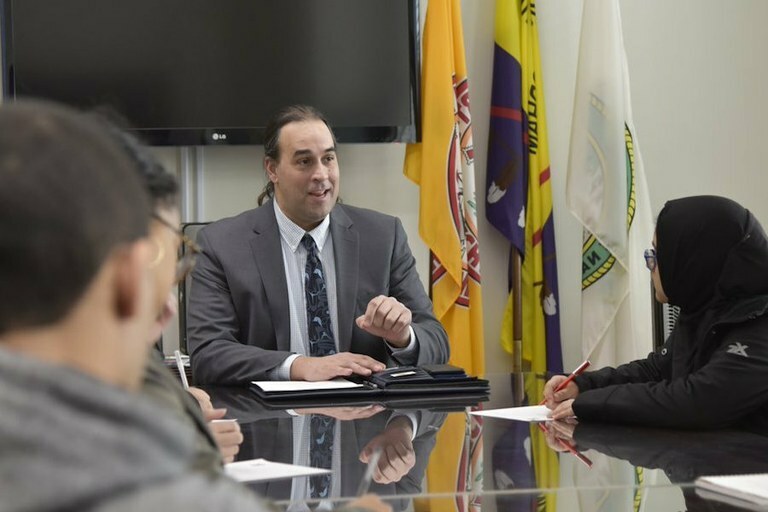 An email sent Thursday by Principal Deputy Secretary for Indian Affairs John Tahsuda and obtained by High Country News stated the resignation was effective Tuesday, April 24. The department has not released an official statement announcing the resignation. No reason for the resignation was included in the announcement, and neither the Interior nor the BIA spokesperson would comment on the personnel change. “It is our policy not to discuss DOI personnel matters in the press,” BIA spokesperson Nedra Darling said in an email. As of Thursday night, Bryan Rice had not responded to an emailed request for comment. Rice, who is a citizen of the Cherokee Nation, was appointed in October 2017. He has worked for the federal government for two decades, including as director for the Office of Wildland Fire with the Interior Department under the Obama administration. Darryl LaCounte, currently the BIA Rocky Mountain Regional Director based out of Billings, Montana, will replace him as acting director for the agency, according to Tahsuda’s email. Bryan Rice stepped down from his position as director for the Bureau of Indian Affairs on Tuesday. The resignation comes during an administration marked by high turnover and turbulence in high-level positions. Calls for Environmental Protection Agency Administrator Scott Pruitt to resign have grown, and Interior Secretary Ryan Zinke is under investigation for ethics violations related to his travel. The Bureau of Indian Affairs has faced investigations and proposed budget cuts in the last year, and did not receive a director until seven months into Zinke’s tenure. A review of mass employee reassignments at the Department of Interior by Talking Points Memo showed that a third of those reassigned were Native American, despite Indigenous employees making up less than ten percent of the Interior Department. The bureau is also facing an administration disinterested in fully funding the agency; the Trump administration proposed a budget that would have cut $370 million from the Bureau of Indian Affairs and Education, and $100 million from education programs in Indian Country. In addition, the Bureau of Indian Affairs, like the Department of the Interior in general, has pervasive issues with harassment, as shown through a workplace survey made public late last year. The Bureau of Indian Affairs had the highest rates of harassment in the department overall, and has yet to publicly release a formal action plan of how it plans to address it. The workplace survey results, released two months after Rice became director, showed 40 percent of respondents experienced harassment in the previous 12 months, and high rates of racial and sexual harassment and assault that were higher than those at other Interior agencies. Fifty-seven percent of respondents said they did not report because they did not think anything would be done, and only 11 percent said an investigation resulted from their complaint. Anna V. Smith is an assistant editor for High Country News. High Country News is conducting an ongoing investigation into instances of harassment, discrimination and sexual assault in Indian affairs agencies, and how agency officials handle these complaints. If you are a current or former employee of a federal Indian affairs agency who has experienced harassment, please consider contacting us. This form is secure, but please consider using a personal email address instead of your government email.